The commissioning of the submarine rescue mother ship A-582 TCG Alemdar was scheduled for today. The ceremony was cancelled because some high-ranking politicians are unable to attend. Never the less it is good to know that this project has come to an end. The first steel for TCG Alemdar was cut in April 2012 and the keel was laid in December 2012. The ship was launched on 29th April 2014. The project may seem to have taken too long but it is the first time that a private shipyard has constructed a ship with complex and specialized sub systems. According to the contract signed between the Istanbul shipyard and UDI, the shipyard acted as a main contractor for the project that included the submarine rescue systems like ROV’s, hyperbaric chamber etc. As far as I know such expertise was not available to the shipyards at that time. 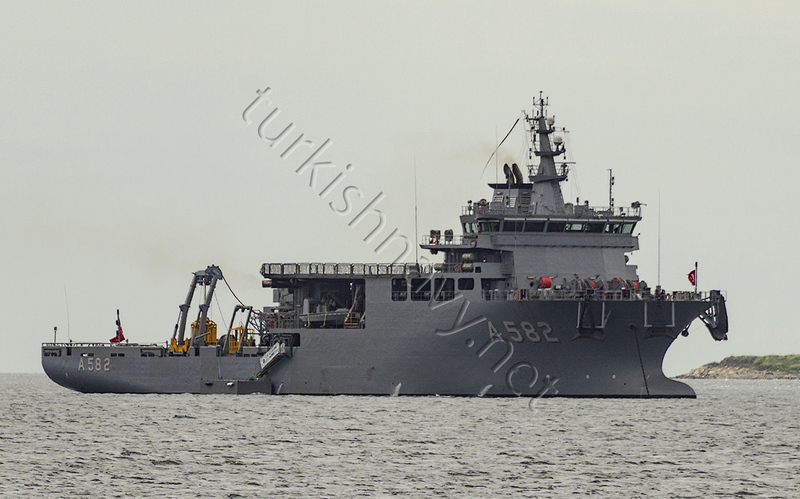 Last week TCG Alemdar was nearly involved in an accident. 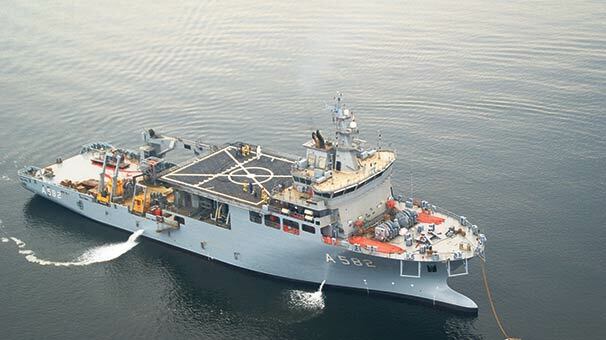 As part of the acceptance tests, the ship was in Marmara Sea and conducting a 4 point anchoring operation. During the test fast ferry M/V Hızır Reis passed over one of the anchoring cables. The tender boat of TCG Alemdar capsized during the incident and 5 persons on board had fallen to the sea. The survivors were rescued shortly but suffered some hypothermia. 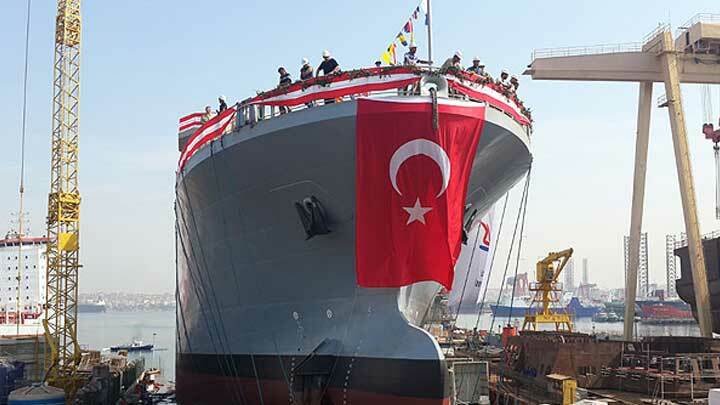 This breaking story is almost one month old and show that the Turkish Shipyard have a lot to learn in public relation and in explaining to the public what they are accomplishing. 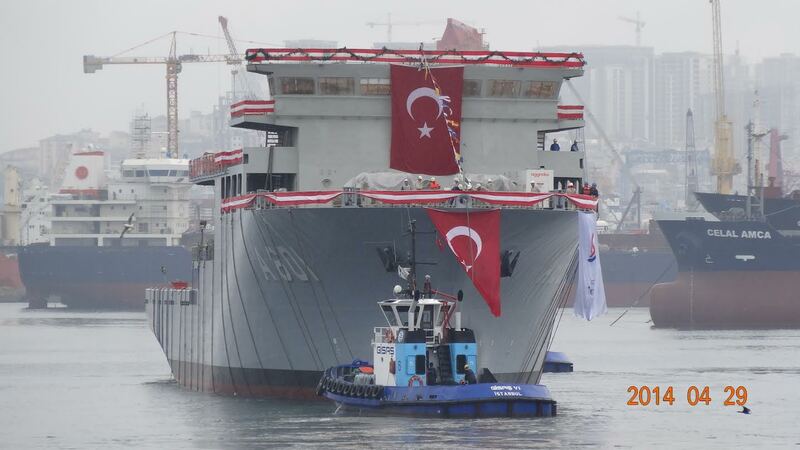 On 29 April 2014, the submarine rescue mother ship also known as MOSHIP, A-601 TCG Alemdar was launched by Istanbul Shipyard. Istanbul Shipyard a private company, was selected to build one submarine rescue ship and two salvage and rescue ships by SSM in June 2010. The main task of this ship will be rescue submarines that are unable to resurface themselves. She will be able to provide life support to the stranded crew of a distressed submarine up to 600 meters depth. She will carry ROV’s, atmospheric diving suits and other necessary equipment. 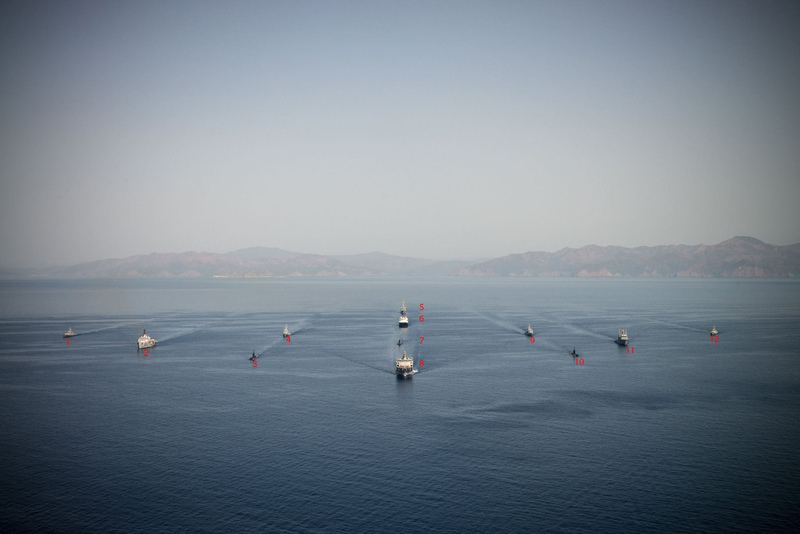 With fourteen modern diesel-electric submarines in service, the Turkish Navy is the biggest operator of conventionally powered submarines among both European and NATO countries. 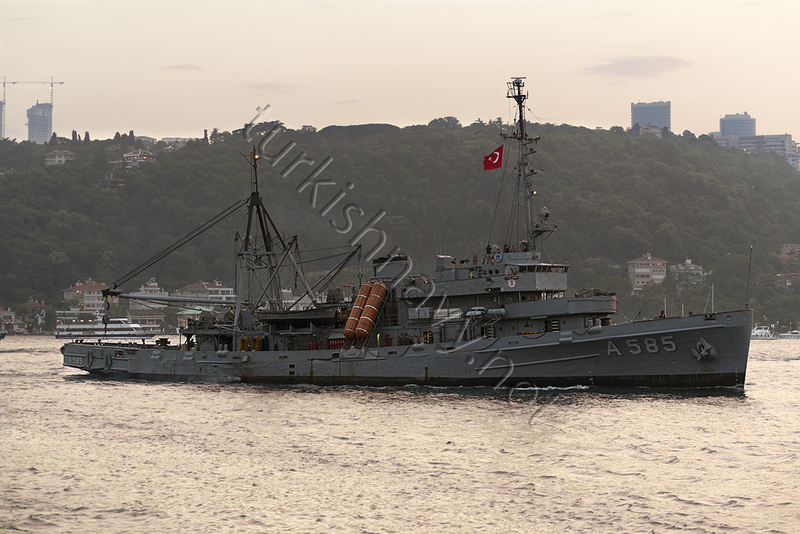 However, the existing submarine rescue and salvage ships in the Turkish Navy were built in the 1950s and they are now reaching the end of their life-spans. 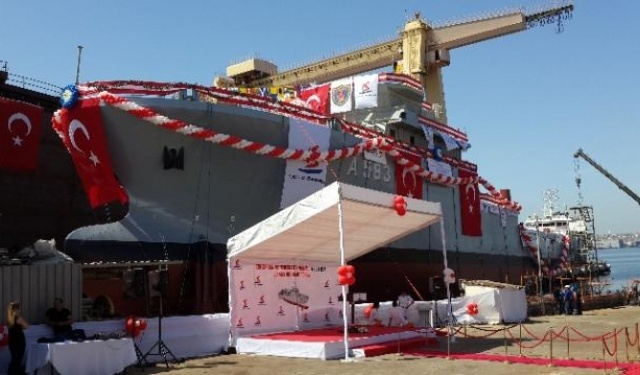 It is important for the Turkish Navy to maintain an appropriate degree of salvage and recovery capability to support its large submarine force, so it is a joy to see that a very complex ship with many complex equipment on board was launched. Speed, Range: 18 knots, 4500 miles at 14 knots. 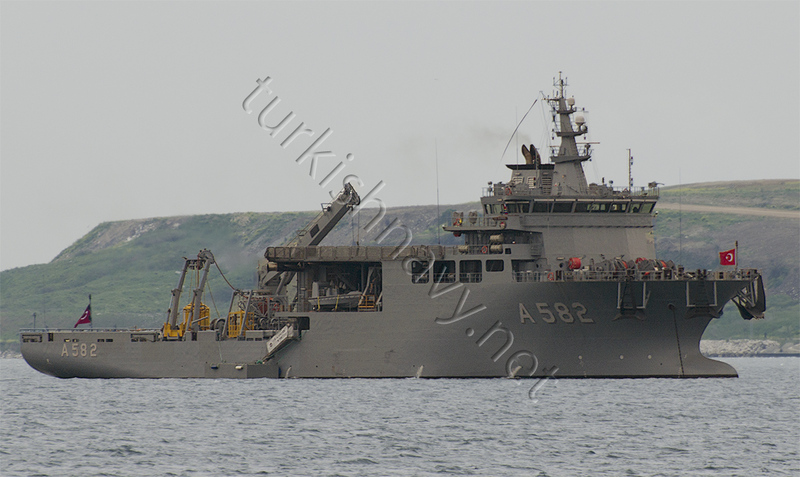 TCG Alemdar is a dedicated submarine rescue mother ship designed to perform subsea and surface search and rescue missions in various sea conditions. The main task is to rescue submarines that are unable to resurface themselves. She can provide life support to the stranded crew of a distressed submarine up to 600 meters depth. She is carrying ROV’s, atmospheric diving suits and other necessary equipment.She is interoperable with NATO Submarine Rescue System. There are two pressure chambers on board. Her pennant number was A-601 when she was launched. It was changed before her commissioning. Speed, Range: 18 knots, 4000 miles at 14 knots. These ships are dedicated submarine rescue intervention ship to perform subsea and surface rescue operations and firefighting in various sea conditions. 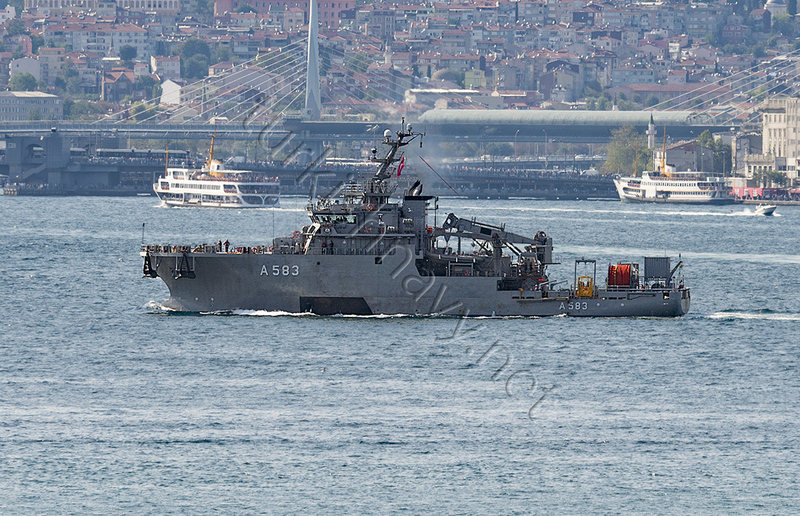 These ships together with TCG Alemdar has replaced the older salvage ships of Turkish Navy. There was, only one procurement process and a contract covering both classes and all 3 ships.